It’s hard to believe that it’s already been 5 months since I started at Break the Ice! Thinking back, I remember being nervous to join an agency since I had always worked on the client side of the relationship. 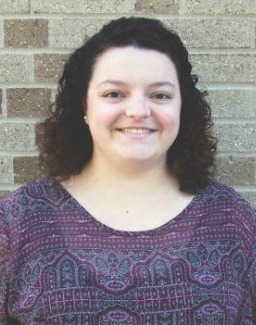 As I reflect on what I’ve accomplished at BTI already, I can see how my experience from the client side has been beneficial in my new position. As much as I’ve always wanted to impress my boss, I want to over-impress my client – starting with a fresh idea and ending with awesome results. It’s easy to get stuck in the “this is what we do every year” cycle. 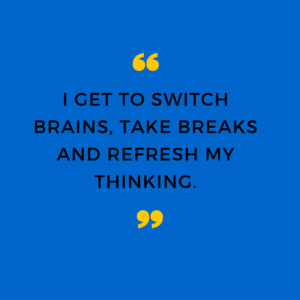 But by working on multiple campaigns, instead of focusing on a single brand or product like I did on the client side, now I get to switch brains, take breaks and refresh my thinking. This gives me a chance to take a step back and evaluate the ideas I’m pitching to the client to make sure they’re creative and fun. 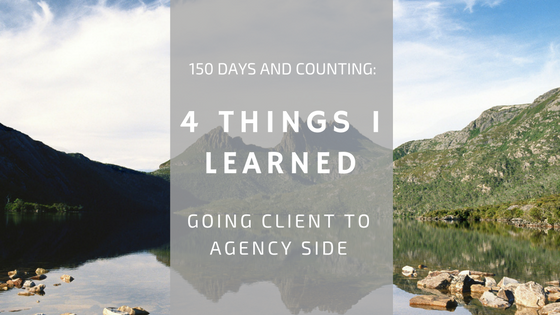 Agency life is about balancing deadlines – whether they’re self-imposed deadlines, client deadlines or media deadlines. Frustration comes easy when the client wants something done but isn’t providing the information needed to do it. 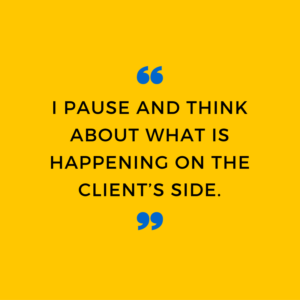 This is when I pause and think about what is happening on the client’s side. Sometimes we forget that our clients have other projects on their plate. When I worked for the client side, our company’s 30-second elevator speech was ingrained in me. I had spent time learning how our product was made from start to finish and studying our competitors. 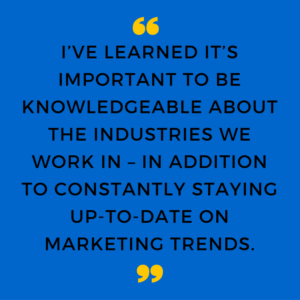 At an agency, I’ve learned it’s important to be knowledgeable about the industries we work in – in addition to constantly staying up-to-date on marketing trends. To do this, we attend conferences and familiarization tours that relate to our clients, their industries and target audiences. We also improve our marketing and PR skills through workshops and courses, books and seminars. 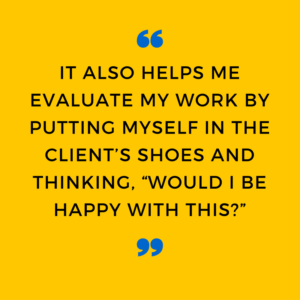 Have you worked on both the client and agency side? How did your experience with one benefit your role in the other? 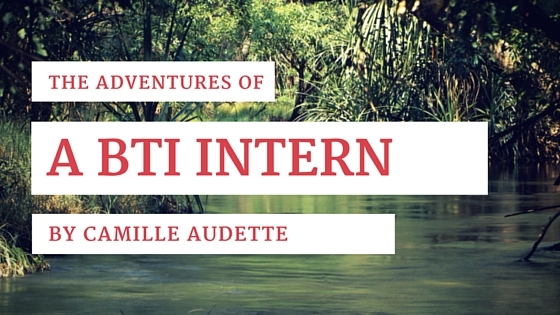 The Adventures of a BTI Intern 5 Questions to Ask Your Next Marketing Agency: A Getting Started Guide The Beginning of a Beautiful Internship Three Childhood Lessons I Learned That Apply to My Internship Taking it to the next level!